Please enter Name in the personalization box.Always remember that the print size varies depending on the name length. If you do not wish to have the item personalized, type "None" in the box. Engraved Card Case and Cards. 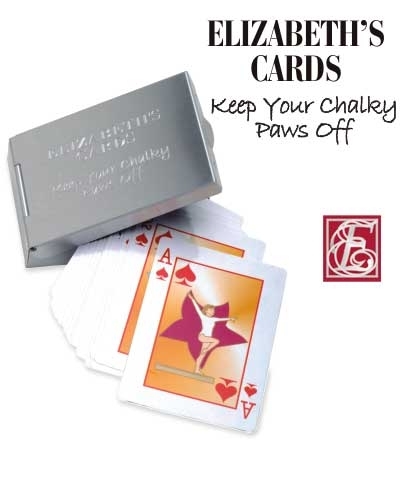 A deck of cards comes protected by an Engraved non-tarnish aluminum case bearing a humorous warning-"Elizabeth's" Cards-Keep Your Chalky Paws Off. 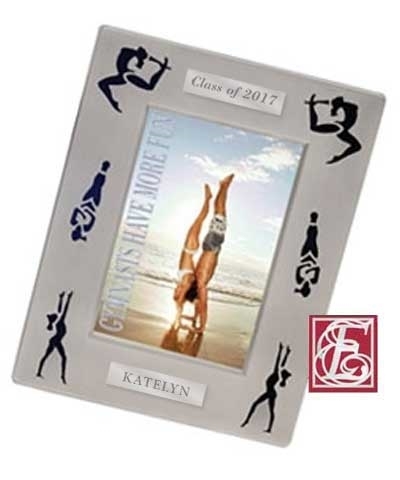 Meets can get real boring so TEN-Os playing cards, featuring exclusive gymnastics designs, should be a mandatory part of a gym bag contents. 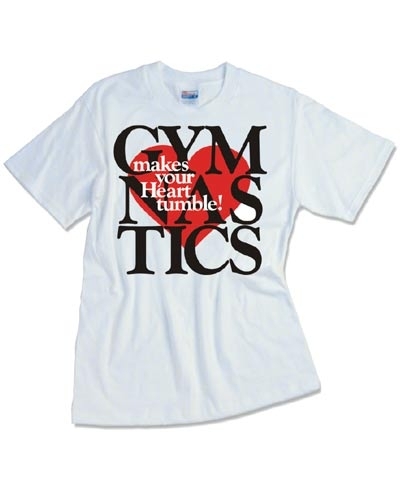 Give us your "favorite bored gymnast name" and we'll do the rest. 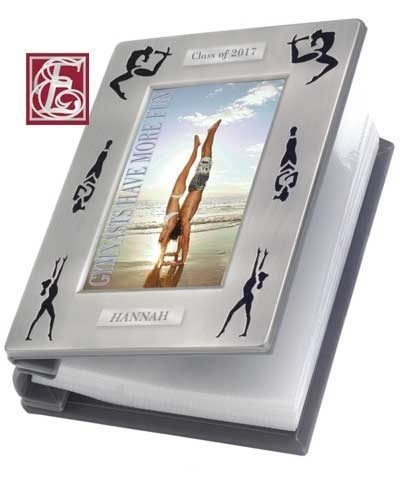 Makes a unique graduation gift also.